Is Islam part of Germany? The German right wing’s idea to ban mosques would mean forbidding Islam – which is against freedom of religion and has to be fought against by democratic forces, says Farid Hafez, Professor of Islamic Studies, the University of Salzburg. A branch of the anti-immigrant Alternative for Germany party in Lower Bavaria is proposing to close down mosques across the country. Despite the leader of AfD’s Bavaria-wide federation distancing himself from the plan, many are concerned about the rise of Islamophobia in Germany and throughout Europe. Hugh Bronson, of the Berlin AFD party branch said he wouldn’t pay too much attention to the idea since it was put forward by a very small group of his party, “a local branch of a local branch.” … read more. Wo liegt die Grenze zwischen System- und Anti-System Parteien? Das Interview ist von RT Deutsch aus der Sendung „Europas politischer Einheitsbrei. Nicht Frei aber Korrekt“. Interview mit Hugh Bronson, stellvertretender Sprecher der AfD Berlin. Greece will inevitably get a debt haircut as it’s not able to cope with the €240 billion bailout loan given by the EU, said Hugh Bronson from the Alternative for Germany party. No national structure is able to cope with that amount of debt, he added. The elections in the European Parliament have revealed that people are growing tired of the superstate giant of the EU. 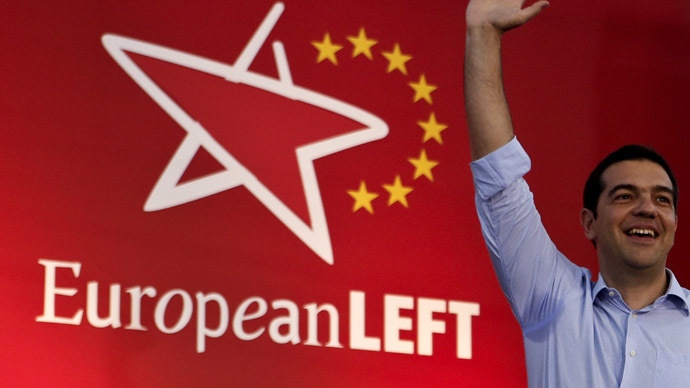 Eurosceptic parties won a significant number of votes – but will they be able to deliver on their promises? Disunited, will they be able to form a single bloc against the ruling hand of mainstream politics? Or will they end up arguing between each other? And what about the Germany – does it really benefit that much from the European Union? To find out the answers to these questions, Sophie speaks to a member of the German Eurosceptic party. Dr. Hugh Bronson from the Alternative for Germany party is on SophieCo today. … read more.